Memorial day is coming soon and that means it is time to open up your pools, snack stands, outdoor bars, and grills. Every club wants a smooth Memorial day pool opening and we are ready to help get your point of sale systems, printers, wireless and other technology ready for the summer. Call (855-694-8435) or email (support@buckeyemicro.com) us soon to schedule to get your summer time systems installed and ready to go for your big opening day. Nick will be at the 2015 Metropolitian Club Foundation Regional Vendor Show at Glen Island Harbor Club in New Rochelle, NY on Tuesday, March 31st. Stop by our booth and say hello and learn about all the technology solutions Buckeye Micro Inc can offer your club. Many clubs today with Jonas software use the member activity check-in terminal for tracking members in the fitness center, pool, or other areas. This is usually accomplished with a membership card, which the member needs to dig out of their wallet or purse and try not to loose while working out, or by having the member type their member number at the terminal which can also be slow. Now a new product from IdentityOne can help. 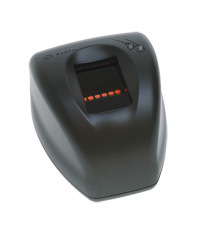 The MorphSmart 300 is a fingerprint scanner with a cloud based member database that allows members to check in with only a quick touch of a finger. The scanner can also be used in Jonas POS to allow your servers to verify member purchases. The MorphoSmart 300 hardware is rugged, good looking and has a small foot print. The software is easy to use and allows a single database to connect scanners at multiple locations, across town or across the country. A new season is about to get started. Call or email us soon for details about getting your club setup with MorphSmart 300 fingerprint scanners for Jonas. Welcome everyone to the new Buckeye Micro Inc. webpage and the first post in the the all new The Buckeye Micro Blog. From here, the Buckeye Micro staff will be bringing you new articles every month to keep you up to date on the latest technology trends. Check back regularly or follow us on Facebook, Linkedin, and YouTube from the links on the left menu for all the latest information. Jonas - The leading provider of Club Management Software Solutions. Dell - We can offer customized solutions for Servers and Workstations as well as network hardware from Sonicwall and Wyse. Microsoft - We are a Microsoft Certified Partner and can provide support for all of their platforms and provide licensing. 3CX - Break Free from your outdated phone system! Reduce your costs, increase your productivity and mobility with 3CX phone system for Windows.